Designing complex mechanical system for survival in harsh ocean conditions can be extremely challenging. Extreme pressure, corrosion and fatigue caused by wind, waves and currents need to be accounted for in the successful mechanical design. 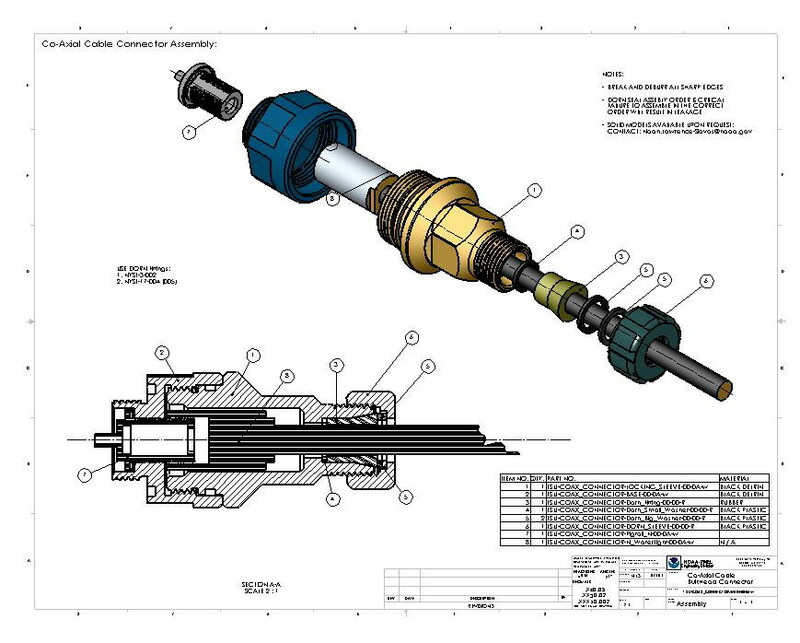 To combat these challenges PMEL/EDD relies on a variety of development analysis tools, including Solidworks CAD, COSMOS FEA and MasterCAM. The design and development is focused on meeting scientific requirements within budget while an emphasizing reliability, field ruggedness and user serviceability. Co-Axial Cable Connector for Assembly.